This review is about item#2839715. Because rubber connecting part was short, we could not stop firmly. I am sorry to be able to stop it if you lengthen the connection part. This review is about item#02839715. It is used to dry glassware (pipette) wet with water. 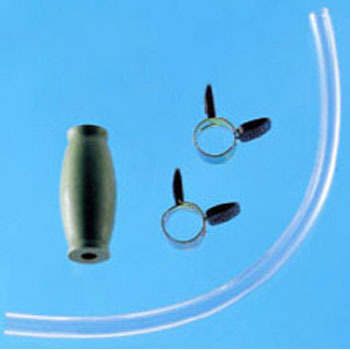 We use it with glass aspirator. Although there is a possibility of cracking, unlike metal, it is convenient as it is visible by visual inspection as soon as there is a problem. A gas hose is attached to the water outlet of the aspirator so that water does not splash with sink.